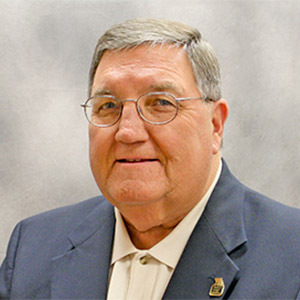 An Honorary Alumni Award is given at the discretion of the Alumni Association Board of Directors to an individual who has faithfully served Missouri Western and evoked pride among its constituents, but is not an alumnus/a. It is given only when someone meets the merits of the award rather than every year. Howard McCauley served the Office of Admissions for more than three decades before retiring this year. In 1979, he was hired at Missouri Western as football offensive line coach under Head Coach Rob Hicklin, but moved to Admissions in 1985 as interim director. When Howard began guiding Admissions, there were approximately 3,900 students, he had two full-time and two part-time employees working for him, and they shared space with the Registrar’s Office. Under his tenure, enrollment has grown to just under 6,000 students. Howard earned a Bachelor of Science in Health and Physical Education from Northeast Missouri State University (now Truman State) and a master’s in school administration from University of Central Missouri. He and his wife, Beth, have two sons and one daughter.